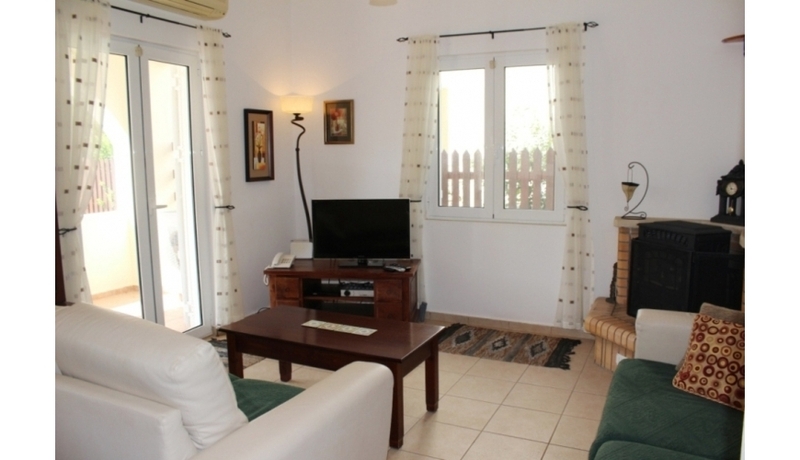 A very tastefully furnished and decorated 2 bedroom with a private pool — situated in the heart of Almyrida. 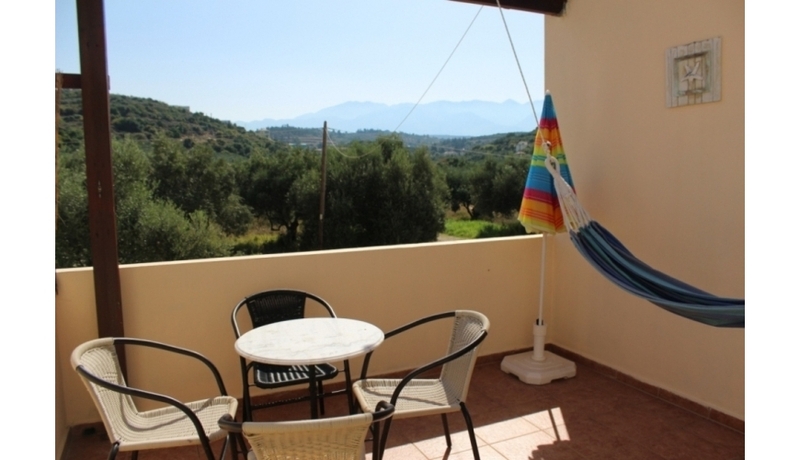 With plenty of private outdoor space, this lovely villa is perfect for holidays and also holds a licence for holiday rentals. 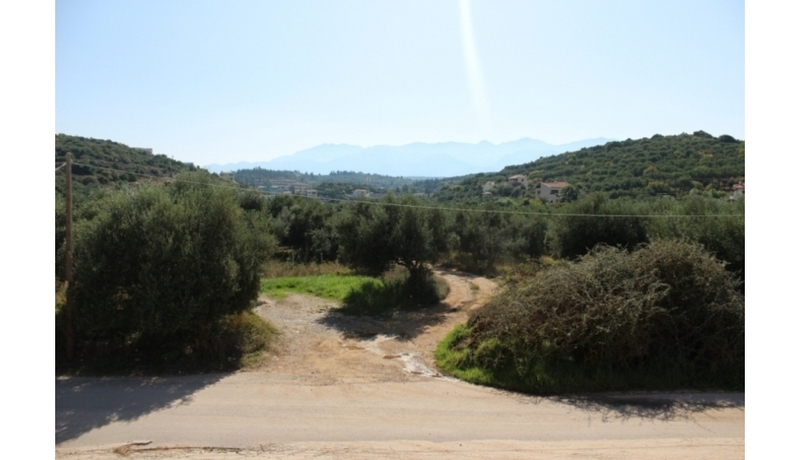 This is a high quality, well finished property which is located in the centre of Almyrida. 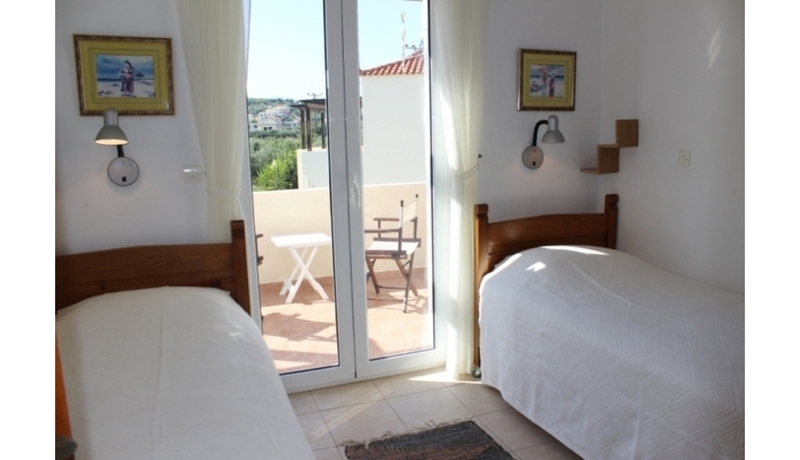 It is just a couple of minutes walk from the golden sandy beach plus all the tavernas, cafes and shops. 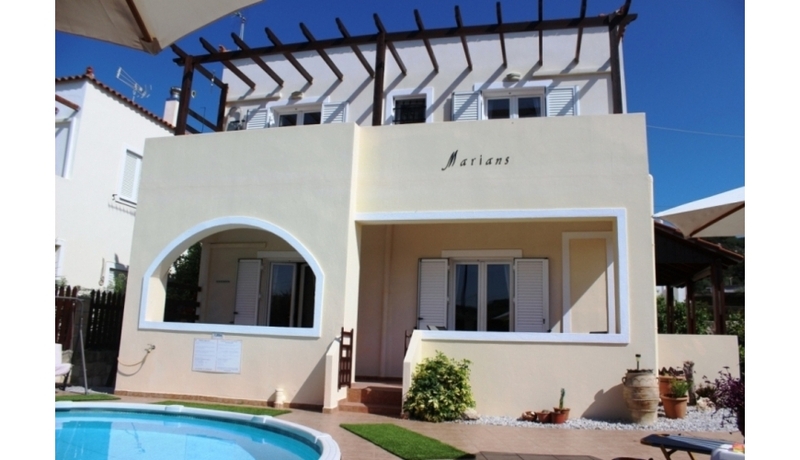 The villa sits on its own private plot and has a private circular pool with lots of room around for sunbathing and outdoor living. There is plenty of external storage space and the gardens are well landscaped with a variety of pretty plants and flowers. 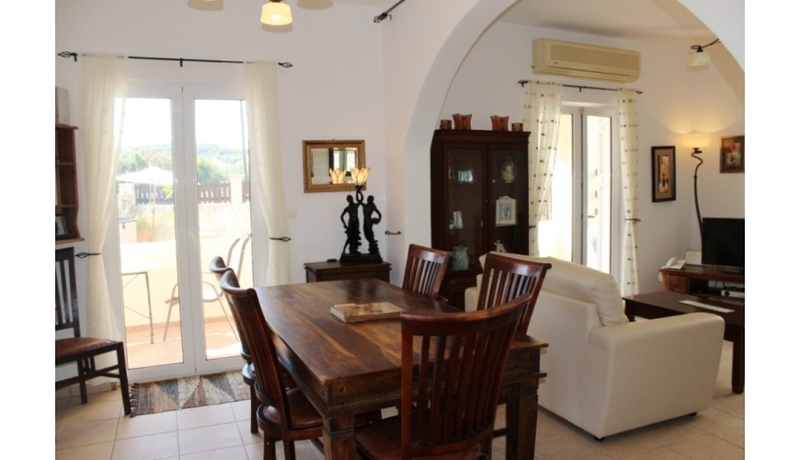 The villa has an excellent layout with a large open plan kitchen, dining and living area on the ground floor. Large French windows and doors lead to private covered terraces from all areas. 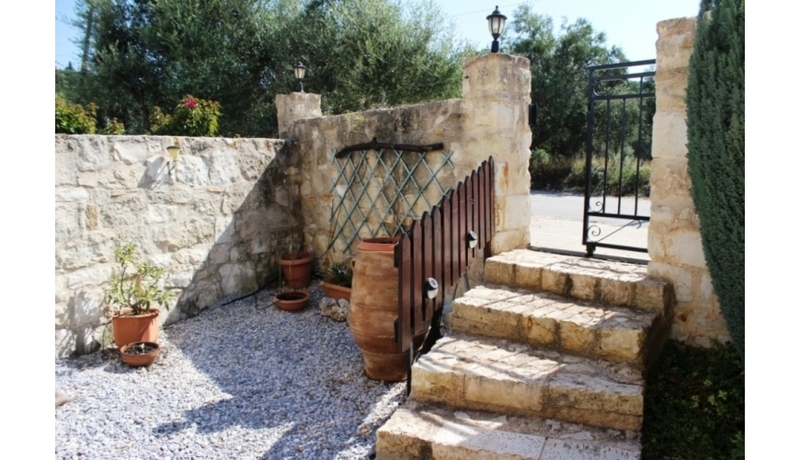 There is an attractive open archway between the dining and living area and also a corner wood burning stove. 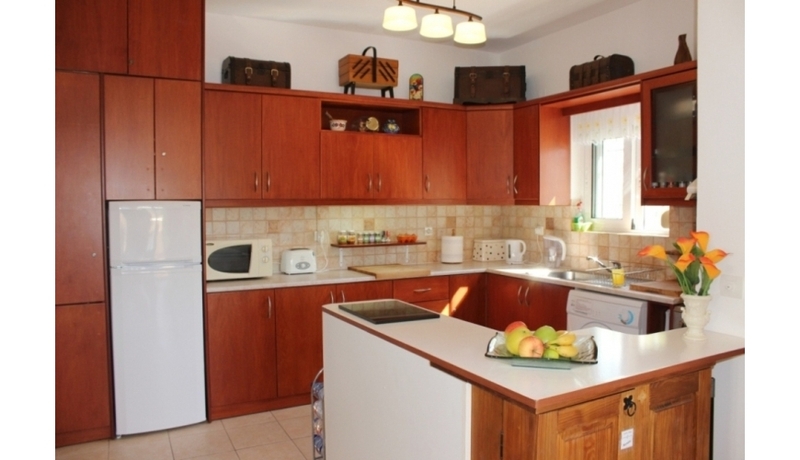 The kitchen is high quality, with fully fitted appliances and a ‘Breakfast Bar’. Also on the ground floor there is a fully tiled shower room. 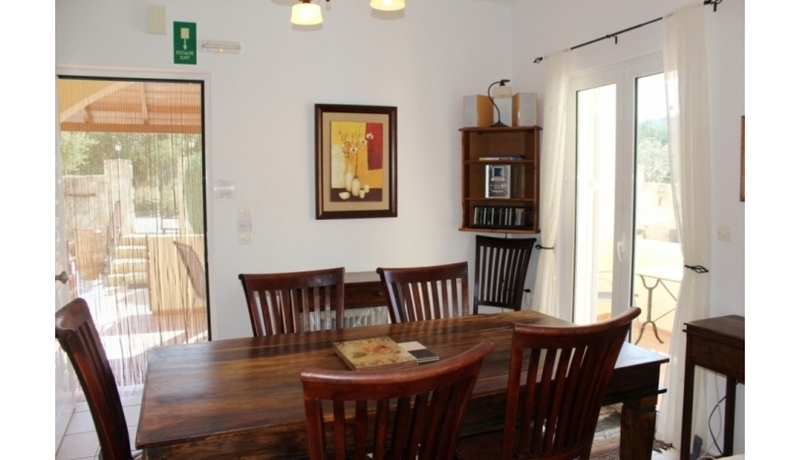 The upper floor has a 2 double bedrooms and a good sized main bathroom. 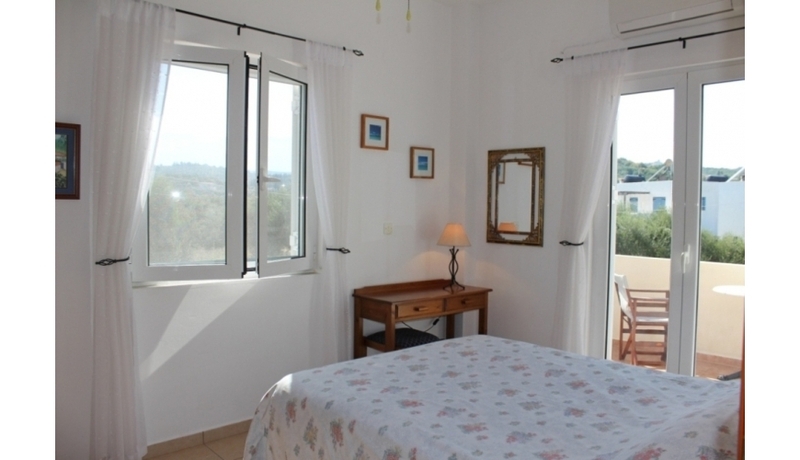 The bedrooms have fitted wardrobes and air conditioning. 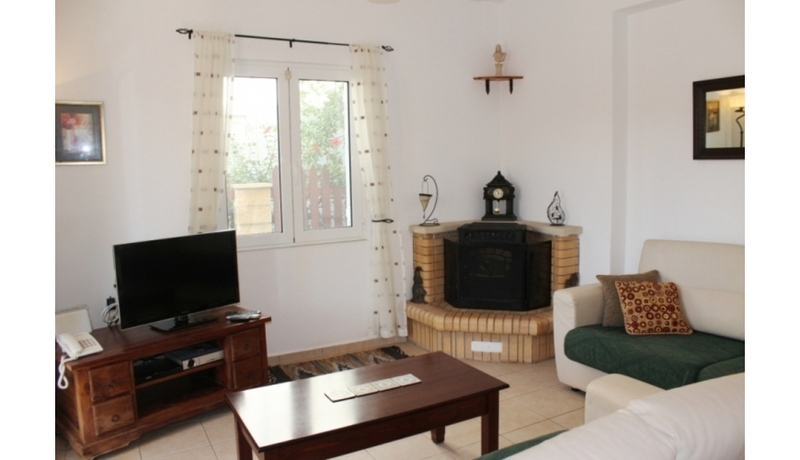 The villa has been very well maintained and is beautifully furnished and tiled throughout. 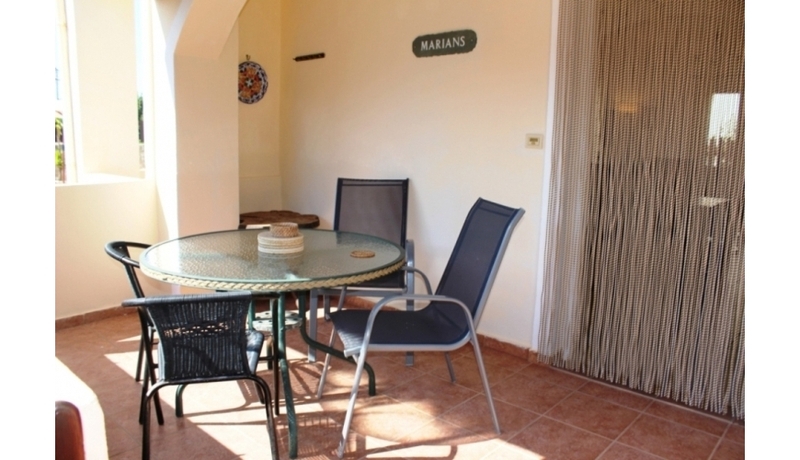 There are excellent sitting areas outside - for external living and dining. 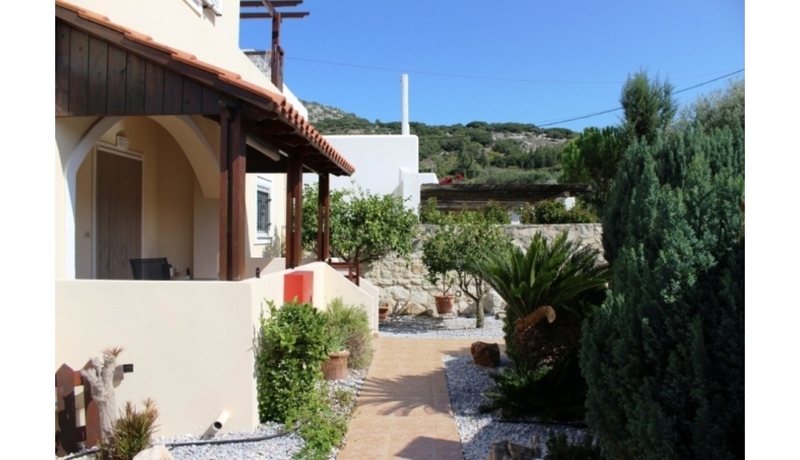 This lovely property can be either a fantastic family / holiday home or an investment generating rental income and is just 2 minutes from the beach. What's the result of multiplying two by four?